I know. Who wants to read a blog about laundromats? Not me. I hate laundromats. They are boring beyond boring. Depressing beyond depressing. I hated them in my twenties and now in my sixties, I still despise them. So why I am I writing a blog about a laundromat? Because yesterday, on a rainy Sunday morning in the middle of Labor Day weekend, I spent three hours in one with my husband doing six weeks worth of laundry. Now wait, you do the math. That’s not so bad. Three divided by six is fifty minutes a week, probably a lot shorter than most people spend doing their laundry. There’s some advantage to being able to use multiple machines at the same time. In and out, as long as you don’t have to wait for a washer or dryer, which we didn’t. I still hate the laundromat. I hate the noise. Beyond the whirring and spinning and clamping when a cycle ends, there is the television. Don’t get me started on that topic, but why do we need to have a television screen staring at us everywhere we go these days? The checkout aisle at the grocery story, the doctor’s waiting room, the bank. Isn’t it bad enough that the toxicity of television enters the privacy of our homes? Do I really need the company of Kathie Lee and Hoda sipping wine while I wash my underwear in public? And the volume. Kathie Lee should work as a carnival barker and put that mouth to good use. I’ve tried to embrace the laundromat. My husband, who tolerates it only a tad better than I, has tried to put a spin on the experience, forgive the pun please, but it’s that bad. When we first downsized dramatically and drastically sacrificing a laundry room for our freedom to have a large life instead of a big house, he suggested we combine date night with laundry day. There is a great little restaurant next door to our laundromat with terrific burgers. My favorite is a Marsala burger with Swiss cheese, bacon, mushroom and Marsala demi glace. Of course, there are television screens everywhere, but the real problem was timing the wash and dry cycles of half a dozen machines with the service of our food and drink. Yesterday, we headed out at the crack of dawn, trying a new strategy intended to get us to the laundromat before the crowds joined the party. 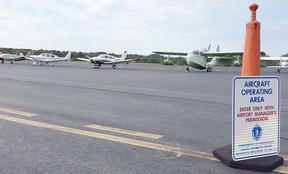 We had the best breakfast I’ve had on Cape Cod at a darling restaurant in the hangar at a tiny airport. Fortified with fresh orange juice, cold brew coffee, and a savory Gruyere bread pudding topped with a couple eggs, we arrived to open the laundromat with half a dozen people with the same idea. We dug in, loading machines, whisking metal baskets on wheels from washer to dryer. We filled the coin-sucking machines with enough change to ensure a huge win if only we had been playing slot machines. I could feel my shoulders rising to my ears as the stress mounted. I sat between cycles trying to read my book but distracted by the people around me. I remembered how when I would go to court as a lawyer, my colleagues hated waiting in the courtroom for their turn to be heard. They huffed and puffed, sighed, wiggling on the hard chairs with palpable resistance, while I silently chortled, and took notes about the unfolding human drama I was witnessing as fodder for my writing. I opened my eyes and ears and felt the laundromat turn into a classroom and a laboratory all at once. I watched a couple synchronize grabbing the corners of sheets, then walk in toward the other, one handing the corners to the other, smiling at each other as if dancing a minuet. Several solitary males of various ages caught my attention. The older man who folded with such skill, I was tempted to ask if he had learned on You-tube. I wondered how long he had been alone to have become so adept at folding fitted sheets. The middle-aged man who folded with a little less skill but did it with one hand while he chatted on the phone fascinated me. It was a flirtatious conversation, but his shorts and tee shirts never suffered as he flung them into a cardboard box that doubled as his laundry basket. An elderly man stumbled around, clearly a laundromat virgin. My husband took him under his wing and gently showed him around. I imagined he was a new widower and practically wept when he admitted he “was new at this.” He didn’t even pretend to fold as he flung his clothes into a basket, thanking us for our help as he left. When a young man clutching his dirty clothes in a hug without a basket or bag entered, not sure which were the washers and which were the dryers at first, I was fascinated. I pointed him in the direction of the washers and then detergent dispensers and coin machines. “Clearly, I’m a rookie,” he said, winking at me. Then I realized each of my fellow companions was a story and that I had brought the wrong book to the laundromat. Next time, I’ll leave the novel at home and bring a notebook. And I’ll embrace another opportunity to gather the stories that live in each of us and quit my bitching. How about you? Where do you find stories?